Grace, integrity and willingness to help others – all qualities used to describe Raymond Victor Franz. He was an unassuming man. Anyone who knew him would tell you that. His frankness, honesty and integrity have proven to be a vital link in helping tens of thousands of people come to know the real truth about the Watch Tower organization and Jehovah’s Witnesses. Born on May 8, 1922, Raymond Franz spent his early years in association with Jehovah’s Witnesses, becoming a baptized member in 1939. He entered the full-time service in 1940, upon graduating from high school and becoming a special pioneer in 1942. He served at the organization’s world headquarters for fifteen years, from 1965 until 1980. He was a member of the Governing Body from October 20, 1971 to May 22, 1980. His father was baptized in 1913. His uncle, Frederick Franz, was a member of the Watch Tower headquarters staff and was a close associate of the Watchtower’s second president, Judge Rutherford. Fred Franz was influential in the religion’s development, practices and doctrines and later became the fourth president of the Watchtower Society. Fred Franz had promoted 1975 as the end of a system of things, and that he had been instrumental in driving his nephew out of the Watch Tower. From 1944 to 1965, Raymond served on many assignments in the US and South America. He attended Gilead, graduating from the 3rd class in 1945 served as a special pioneer and traveled in the circuit work. While in San Diego, California, Franz spent five nights at ‘Beth Sarim’ (meaning ‘House of Princes’). This was a large home built by the Society and said to be ‘held in trust’ for the faithful men of old, from Abel onward, to be used by them upon their resurrection. Judge Rutherford, who had had some lung problems, spent the winters there during his life. Franz was eventually assigned to Puerto Rico as a branch overseer. Before leaving, the third president of the Society, Nathan Knorr, warned that if Franz and the other young men serving as branch overseers wished to remain in their missionary assignments they were to avoid anything that might lead to courtship and marriage. The policy was: Loss of singleness meant loss of assignment. In 1957, the Society asked Franz to check on the native Witnesses in the Dominican Republic, since all the American missionaries of the Witnesses had been expelled. A wave of violent persecution resulted in many local Witnesses being brutally beaten and imprisoned. Finally in 1959, when Franz was 37 years of age, the Watch Tower lightened its’ stance on marriage, and Raymond married Cynthia Marie Badame, a graduate from the 28th class of Gilead. Together they continued their missionary work from 1959 to 1965, in Puerto Rico, the British Virgin Islands, and the Dominican Republic. “We continued in traveling work until 1961 and then were transferred to the neighboring Dominican Republic… During our nearly five years there, we saw the fall of four separate governments and in April of 1965 experienced a war that centered around the capital where we were located” – Crisis of Conscience, Page 19, paragraphs 3 & 4. Eventually, Franz was assigned to the writing department at the Watch Tower headquarters in Brooklyn, New York. Ray was given the task of collaboratively writing the ‘Aid to Bible Understanding’ – the first religious encyclopedia published by Jehovah’s Witnesses. “A few months after our arrival and after I had done some work in writing, President Knorr showed me into an office containing a table piled high with stacks of typed papers and asked me to undertake the development of a Bible dictionary… Others shared intermittently for varying periods but the *five persons mentioned carried the project through until the 1,696-page reference work, called Aid to Bible Understanding, was completed five years later.” – Crisis of Conscience, Page 21, paragraph 1. *The ‘five persons’ were Lyman Swingle, Edward Dunlap, Reinhard Lengtat, John Wischuk, and of course the author (Raymond Franz). In 1971, Franz was chosen to serve as one of 11 members of the worldwide Governing Body, something he viewed as a great responsibility and privilege. “What I saw, heard and experienced during the next fifteen years had a great impact on me. Whether the reaction of the reader will coincide with mine, I have no way of knowing, but one thing is certain and that is that no one could understand what brought me to a crisis situation without knowing these developments. The proverb is apt: ‘When anyone is replying to a matter before he hears it that is foolishness on his part and a humiliation’.” – Crisis of Conscience, Page 20, paragraph 4. Frustrated by what he viewed as the Governing Body’s dogmatism and overemphasis on traditional views rather than reliance on the Bible in reaching doctrinal decisions, Franz and his wife decided to leave the international headquarters. By means of this letter I submit my resignation as a member of the Governing Body. I will also be terminating my Bethel service. My prayers will continue to be offered on your behalf as well as for Jehovah God’s servants earth wide. Raymond and Cynthia moved to Alabama, where he took up laboring work on a property owned by another Witness. The following month a committee of the Governing Body raised concerns over the spreading of “wrong teachings” emanating from headquarters staff and began questioning headquarters staff on their beliefs. In September 1980, the Governing Body distributed a letter to all Circuit and District overseers stating that apostates need not be promoting doctrines to be disfellowshipped. The letter stated that individuals who persisted in “believing other doctrine despite scriptural reproof” were also apostatizing and therefore warranted “appropriate judicial action”. Shortly after Franz’s employer submitted a letter of disassociation from Jehovah’s Witnesses, the September 15, 1981 issue of the Watchtower announced a change of policy on disassociation, directing that those who formally withdrew from the religion were to be treated as disfellowshipped wrongdoers. Franz continued to socialize and eat with his employer and was subsequently summoned to a judicial hearing on November 25 and disfellowshipped for disobeying the edict. Franz wrote two books presenting detailed accounts of his years spent as a Jehovah’s Witness, a Governing Body member and his experiences throughout various levels of the organization. ‘Crisis of Conscience’ goes into detail about the Malawi/Mexico conundrum, the alternative military service fiasco, and the non-allowable bedroom intimacies debacle. 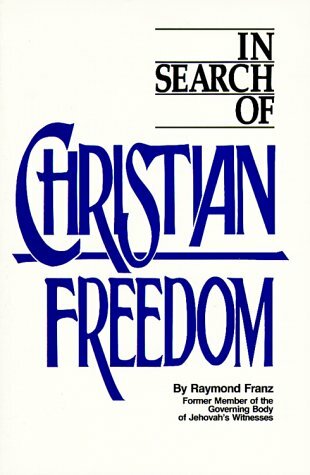 His book, ‘In Search of Christian Freedom’, Franz’ love for God, justice and freedom shine through right to the end. These books have helped many within Jehovah’s Witnesses to honestly examine their beliefs as well as the actions and decisions of the leadership. After leaving Jehovah’s Witnesses, Ray continued to answer questions from the curious. He helped many to discover their own path in serving God through his humility and scholarly knowledge. Raymond was never interested in starting or leading a group of people. His only care was that others be able to worship God with a clean conscience, free of the fear of man, and free of intervention from the agendas of men. On June 2, 2010, Raymond Franz passed away from a severe brain hemorrhage caused by head trauma, in Winston, GA. He was 88. He touched the lives of thousands of people. To many, he was like family. While being treated for various ailments in an Atlanta hospital for eight days, Cynthia Franz died of a massive heart attack, on December 29, 2013. Ray was universally known as a gentle man, full of knowledge and love for the bible. He devoted his entire life to helping others get to know Jesus through his actions and the scriptures. Along with this love and humility was a desire to be honest and truthful with all, and it was this courageous honesty that defined his life in his later years. It will be his lasting legacy. 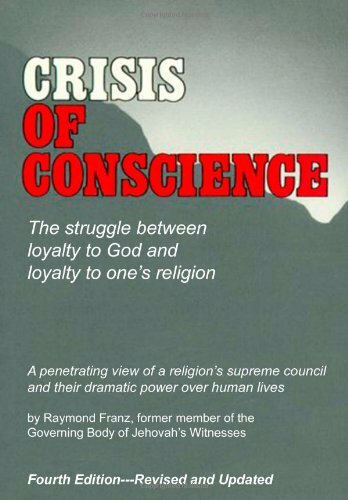 During the past 30+ years, through his two compassionate and revelatory books, Crisis of Conscience and In Search of Christian Freedom, Franz, never consumed by bitterness, provided a rare glimpse into a very secretive organization that continues to insist on 100% conformity to heartless and sometimes harmful rules and ever-changing doctrines. Fueled to a great degree by Raymond Franz’s remarkable conscience-stirring words there has been an ongoing, extensive loss of members internationally as they also want to worship with a clear conscience, free from the fear of man, and free of the abuse of power by a hermetically sealed leadership, no matter what the penalty. Raymond Franz’ wish was for each and every person to find happiness and experience joy every day of their lives and that’s why he was so totally against the impossible psychological religious demands of the Governing Body of Jehovah’s Witnesses. “Simply withdrawing from a system that one has found to be seriously flawed is not a solution in itself. It is what one does thereafter that determines whether there has been progress and benefit or not. Ray died in 2010 and his wife Cynthia died in 2013. Many knew him personally, but many thousands more have come to know him from his books: Crisis of Conscience and In Search of Christian Freedom. The first contribution above is from someone who knew him personally. The tendency of religious authority to seek to dominate rather than serve, and the struggle of those who wish to prevent the erosion of their God-given freedom of conscience — these form the heart of the very personal and candid account in Crisis of Conscience. The scene of struggle is within the membership of a distinctive religion: Jehovah’s Witnesses. The same fundamental issues that mark this account, however, could arise within any of the world’s religions. Starting in the 1870’s as an independent Bible study group composed of a handful of persons in Pittsburgh, Pennsylvania, Jehovah’s Witnesses today number more than five million in some 200 lands. When their publishing agency, the Watch Tower Society, puts out a new book, the normal initial printing is one million copies, with other millions following. In countries where they are active, few people have not had contact with the Witnesses as a result of their intense door-to-door activity. Yet for most persons the religion remains a near mystery. More remarkably, very few Witnesses themselves have any knowledge of the doctrine-forming and policy making processes of their own organization. The discussions of its word Governing Body are totally private. Yet that Body’s decisions are applicable — and enforceable — toward every Witness on earth. As a third-generation member, the author lived the first sixty years of his life among Jehovah’s Witnesses, serving in various countries at every level of the organizational structure. The final nine of those sixty years were spent on the central executive council, the Governing Body. Those years led to the crisis of conscience which is the theme of this book. It is a unique account. It allows the reader a view of the decision-making sessions of a religion’s inner council, and the powerful, sometimes dramatic, impact their decisions have on people’s lives. Presented with sensitivity and compassion, the information at the same time raises very fundamental questions that are both disturbing and conscience-stirring. 2 of the shorter reviews from Amazon are presented below. I read both of Raymond’s books and they have had a very definate effect on me.I spent 10 years as a Witness,had been inactive for several yrs. I still believe much of what they teach and know the individual people to be very honest and dedicated people. However, I agree with Raymond about the authority of this organization over members lives.It is my belief that all of us are resposible to our Creator, Jehovah God and Jesus Christ and owe no theocratic loyalty to any human. All in all I really appreciate Raymond’s courage and honesty. I have to respect him and would love to meet him and just sit down and have a long talk with him. Ray Franz decided he didn’t want to go door to door anymore and fell away as a result. Those that knew him in the months before he was disfellowshipped know that this isn’t true. In fact, he didn’t fall away. He was forced out. Jwanswers …..I would like to edit my comments ….. It looks like I can’t give permission, but I can make some edits for you. What I can do is take the update, or you can just make a new comment that incorporates the old comment and replaces it. I will delete the old one, if you don’t have permission to do that yourself. The only problem is that I check the comments about once per week. Jesus’s disciples said to him; where can we go? You have sayings of everlasting life. So where do those that abandon Christ go? Somewhere where their conscience is soothed I.e. easy religion where Satan welcomes them with open arms. Come to your senses return to the God of truth,the one whom Jesus referred to as my heavenly father, whose name he made known with no fear of man, yes you have abandoned the ransom sacrifice of Jesus our only hope for the future through the kingdom that Jehovah gave to him to rule the earth. So I ask you what are you doing with your life ? This is for all that have left or are thinking of doing so. Remember this is Jehovah’s organization where correction is needed there will be correction,just be patient, trust in Jehovah not man! The importance of returning to Christ is exactly the reason that some have been pushed away from the Watchtower Society. It is specifically because they believed that the God of truth prefers truth in all things, and that would include the truth about the Bible’s teachings on subjects like 1914, the Kingdom, the ransom, the good news, etc. Remember that Jehovah’s organization is not earthly but heavenly. The true religion, according to James 1:27, is looking after orphans and widows in their tribulation. In other words, it’s our compassion and love for our neighbors and our enemies. Read the rest of James for an expansion on that idea. It’s what we do for elderly persons, poor persons, sick persons, and even those without a warm coat. This is what Jesus looks at when he says that we are judged based on the extent to which our love for Jehovah and Jesus has motivated us to share our love, compassion and material possessions with others. When Hebrews 10:24,25 says that we should not forsake the gathering of ourselves together, it’s for the purpose of encouraging each other to love and good works. Remember Tabitha (Dorcas)? These are the types of good works that are much more important to Jehovah’s true organization. Recall, too, that “ministerial servants” in the book of Acts were the ones who distributed food to widows. If you are asking where Ray Franz went, I’m not sure what you mean exactly. Before he died, he spent many years with hundreds of friends and acquaintances who would speak to him on the phone, ask for advice, come to his home for Bible study, etc. …..so he quit …can YOU find it in the Bible ? You can announce the end till you have used up all the dates you can think of ..and no end will come …..Fighting yes ..but no end ! ….. best way to help HIS children …. In contrast man has said we need more than what God has given and so …..
…wrote hundreds of so called holy Scriptures….it has wrought more trouble…. Yes it helped us as kids …we found it lovely …. You have to agree …..that our Creator has never said one word to us directly …. .what does it give ….nice expectation? …or devilish threat …is that how the true God ..handles his Kids ! …..have very little trust in.. Unfortunately, Mr. Franz died an apostate. His lack of faith and loyalty to Jehovah has severely diminished his chances for a resurrection. As far as I can tell (along with the hundreds of persons who continued to converse with Ray Franz), he never lost his faith or his love for Jehovah. Also, the word “apostate” refers to anyone who leaves their previous religion. The apostle Paul died as an apostate from Judaism. James from Acts 15 tried to observe a Christianity without being an apostate from Judaism (see Galatians 1 & 2). But what’s more interesting is that there were a couple copies of each of Ray Franz’ two books in the Bethel Library, in a special cabinet with other ex-JW writing. What he wrote has helped improve Jehovah’s Witnesses. As it turns out, many of the problems he pointed out have been fixed. They needed to be fixed so as not to continue to embarrass JW’s after they were exposed in his books. You may already know this, but no one on the current Governing Body, or in the Writing Department or Service Department has ever been able to find anything he said in his books that was not true. The great Sermon on the mount….too beautiful …. Clearly ..mans idea …not Our Creators wishes …. You clearly don’t know the difference between serving Jehovah and serving a cult that made so many mistakes over the years, had lots of members killed, false prophesies, subliminal images in publications, misquoting references, and using your donation money for stocks and property investment purposes while your leaders aka the governing body are always wearing fancy jewelry and clothing (watch the JWbroadcastings). Franz died loving Jehovah and I’m sure he did the right thing to help others know the truth about “the truth”. I for myself have stopped attending the brainwashing meetings that controls your thinking and emotions and elders can’t even think for themselves. What a shame. Clearly the bible’s teaching is different from Watchtower’s. I pray you come to the truth as a Christian and not a “Watchtowerite”. But also clearly, we must be organised to do the work that Jesus set his disciples to do……. et le NAOS, qui est LE SAINT DES SAINTS. http://www.dangersecte-info.blogspot.com . Hiéron, ou, NAOS ?? Entiendo muy bien inglés pero lamento no escribirlo. La Watchtower es una organización de apóstatas. 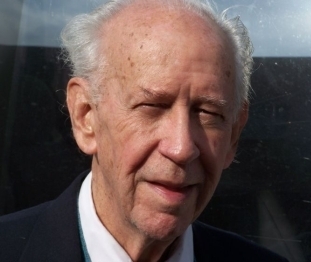 Russell apostató de las creencias de los adventistas y de Nelson Barbour. Rutherford tiró a la basura las enseñanzas de Russell; el binomio Knorr-Franz destrozaron toda la “verdad” del patán Rutherford; y Henschel y la versión 2013 del esclavo fiel y discreto, acabaron con las traza de verdad de todos los anteriores. Y la casi totalidad de testigos de Jehová de a pie, son apóstatas de sus anteriores iglesias o religiones. Jesucristo y los apóstoles fueron apóstatas del judaismo. Raymond Franz fue un paladín del verdadero cristianismo. Enson, una cosa es la lealtad a Jesucristo, el único camino, la única verdad y quien nos dará la vida eterna. Y otra es servir y ser fiel a una organización dirigida por un grupo de autonombrados “esclavo fiel y discreto”.. El día que usted sea capaz de investigar a fondo las teorías de 1914 y el nombramiento en 1919 de los ungidos de la WT como el esclavo fiel y discreto, usted comprenderá que la Watchtower es la obra perfecta de Satanás, el padre todas las religiones cristianas y no cristianas. Que Dios le perdone su falta de amor y le de inteligencia para que capte el verdadero camino (Jesucristo). Doctors doing research on the same subject …William James …and his friends started research way back in ..1840?…that also might be a great help to start at…..
Ray Franz was an inspiration and encouragement to me at the time I needed to flee the JWs. I worked in the Bethel Home Writing Department under Ray in the 1970s, along with many members of the governing body. I left the organization around the same time as Ray and Cynthia. I contacted him and connected via mail awhile, and I know God greatly used and blessed him. He sacrificed so much for the Witnesses, gave up his and Cynthia’s dream to be parents in devotion to the ministry. I have met very few men with his integrity and courage to stand up for truth. I am looking forward to seeing him again in Jesus’s kingdom! Hello! I would love to hear more about your experiences! http://www.dangersecte-info.blogspot.com . NON Ray n’était pas un APOSTAT , RAY à découvert la supercherie Watch-Tower , et a donné les raisons de son départ en apportant tant d’éléments du Trafic Watch-Tower,que tout le monde peut vérifier . Merci Raymond Franz pour votre courage et votre honnêteté . If you are saying that all you have seen and read here are “emotive effusions reeking of hate,” then I understand exactly where you are coming from. As JWs, this is exactly what we are expected to “read into” anything that differs from our expectations. We are taught that anyone who opposes JW doctrine is driven by hatred, and this colors our view. It took me a long time to realize that much of what I called “opposition” was actually driven by love and hope that I would also be able to love the type of freedom that Jesus spoke about. You might have noticed that even that word “freedom” instantly conjures up the idea of apostates wanting to be free of their Christian obligations; free to believe anything they want; free to act immorally. In other words, even the Bible’s own words become “charged” with “apostasy” when we think they are removed from the context of our JW beliefs. When you mention non-existent evidence, however, this might be a case of intentional blinders. The evidence is abundant and overwhelming that the Watchtower Society has NEVER, ever been correct on any expectation or prediction based on chronology. It turns out that there is abundant Biblical, logical and archaeological evidence that helps us understand where all these mistakes in the Watchtower came from. There is abundant evidence that indicates that the Bible’s chronology is correct, and that the Society’s adjustments to the Bible’s chronology is incorrect. 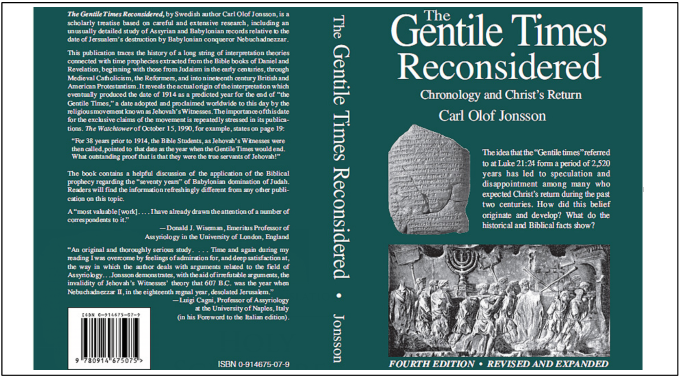 Secular chronology happens to support the Bible’s chronology perfectly through the same time period that the Society found it necessary to adjust (in order to make 1914 appear to work). If you are looking for a credible alternative to Jehovah’s Witnesses, you need look no further than the Bible itself. I adhere to a faith and belief personally that fits scripture and fits the evidence. It is not the purpose of this website to hold any one person’s view up as the correct one. The Bible says that the holy spirit will lead you into all truth. I don’t take this to mean that everyone will agree on all points of doctrine. Even the Watchtower has disagreed with itself hundreds of times over the years. If anyone insisted on holding to the doctrines of 1990 in 2016 they could be disfellowshipped. If any JW in 1950 found themselves holding to the doctrines which are now considered correct in 2016, they would have been disfellowshipped. I’m sure you get the point. Specific doctrines are not the way in which we find unity among the worldwide brotherhood of Christians holding to the faith. True Christianity, true “religion,” is as James said: “looking after orphans and widows in their tribulation, and keeping oneself without spot from the world.” In other words, it’s the way in which our love for Jehovah and Jesus motivates us to do good works, and motivates us to not forsake meeting with one another to incite to love and more good works. The primary work of the good news is therefore the charitable and loving way in which we treat one another, our enemies, our neighbor, and especially those related to us in the faith. You describe the growth of the organization, which you probably realize is quite similar to the Seventh Day Adventists and the Mormons (LDS) both of which also started in the same contexts of history and geography as the religions and sects which derived from the Watchtower Society. I don’t believe that you think this similarity to the Witnesses makes those other religions true, do you? It doesn’t mean that similar sized religions are “superhuman” does it? What about religions who are much larger? You ask if we are promoting the point that ‘it’s OK, as long as you are not a JW.’ No. In fact, I don’t even promote the idea that one must leave the Witnesses. Anyone can be a Christian among the Witnesses. I see no reason to leave, unless forced out. Several members of the Governing Body and the Writing Department at Bethel, that I knew personally, also dismissed much of our chronology doctrines. Most of them were able to remain JWs in spite of opposition by other Witnesses to their personal beliefs. We can always focus on doing good for others and hold to the general doctrine that the Bible teaches about the end times without being overly concerned with 1914 and the doctrines that are based on that teaching. At any rate, I do believe the Bible provides an alternative, but it is not another organization. After all, the time is coming and it is now, when true worshipers will not worship in a certain place, or from a certain temple, or a certain “mountain.” True worshipers will worship in Spirit and Truth. Jehovah does not accept all religious organizations, because he does not concern himself with the imperfect human organizations by which we might try to organize and guide ourselves. Jehovah is looking at our hearts to see where the motivation actually comes from that drives us to do good works and good deeds. If that motivation comes from faith in God, and love for God and neighbor, then THAT is true religion. Is this your own wording or are you quoting from another source? Just interested. I agree that a house full of JWs is often great fun, and I also believe they are great Christian people. Many ex-JWs often need reminders such as this one that we ourselves were JWs once, and for the most part we enjoyed it. We also remember how we treated almost all non-JWs with much respect, knowing that they could potentially become JWs one day. And even if they would never become JWs, we still wanted all to know that we were as normal as the next person. Remember that Raymond Franz, too, had no problem continuing to associate as a Christian among fellow Jehovah’s Witnesses. He did not desire to leave, and wished to continue as a JW for as long as the hierarchy would permit it. He had not even found it necessary to spread his beliefs to others, even though he knew that they were more Biblical than the versions of these beliefs that the Governing Body of JWs wanted him to teach at the time. The only time a “crisis of conscience” would usually occur among JWs is when they are told that they MUST hold a certain belief or be punished with excommunication. This rarely comes up among JWs unless they happen to come up against evidence that some of their doctrines are not believed because they are true, but because of decades of tradition. For example, if your wife were to discover that the evidence for abstaining from blood turned out not to be Biblical, and a situation came up where a medical decision about the use of blood products might make the difference between life and death, only then would your wife be faced with a crisis of conscience. For 99% of JWs, the problem never comes up, and even where JWs choose to die rather than take blood-based medical treatment, there is still no crisis of conscience, because most JWs have never questioned the Biblical teaching on their own. The “end-time” beliefs of JWs which are discussed on this site, are really quite trivial to most JWs. Some JWs will make important decisions about careers and education and marriage based on these beliefs, but it’s rarely a matter of life and death at all. Yet, if a JW were to discover that the doctrinal basis should be questioned, or even dismissed, then that JW would often be faced with the problem of excommunication, being cut off from all their family and friends in some cases. This can effect their livelihood, employment, inheritance, mental health, etc. Imagine reading a scripture and realizing that you are not allowed to believe that part of the Bible unless you are willing to give up association with your children and grandchildren, for example. Fortunately, your wife will still have you. Indeed yes, churches, doctrines, organisations, ideologies are human phenomena and therefore not free from imperfection and falibility. God looks at the heart and values our attitude towards Him. We may err in the process out of ignorance, but once we have love in and among us, God is Happy. Its dishonesty to bring God into personal dog fights based on difference of opinion, which opinions have capacity for error, and claim that God is on our side. Love and dishonesty do not co-exist. Intention so it just has to be done!.. It’s easier to Judge than to be Judged? ..please him ….by worship …. What we are ….or become …is vital …..
…. contrary to what we are told …. …you take nothing with ? Do we have a problem there …..are they all wicked ….? ..s new born baby …a pretty maiden …. Oui, Raymond Franz a écrit ceraines choses lorsqu’il éatit ENCORE Témoin de Jéhovah, mais ensuite, osqu’il a quitté la secte ,l’organisation imprimerie de tracts, il a aussi écrit un livre intitulé “CRISE DE CONSCIENCE”, pour dénoncer avec preuves irréfutables le trafic et Magouilles scandaleuses de la watch-Tower et nottament sur la FALSIFICATION de la bible pour en “fabriquer” la traduction du Monde Nouveau qui est ,ce livre, une ABOMINATION devant D.IEU,lui même. ET ETC; Les passages Truqués, falsifiés sont cité concernant surtout “le Naos” et “le Hiéron,” mots intervertis dans la bible, et sans parler de CARL OLOF JONSSON cet archéologue Suédois encore Temoin de Jéhovah en ce temps là,qui a démontré à la Watch-Tower que la date 1914 est arch fausse, ce qui est Très Grave. Et aussi, de dire que les témoins de Jéhvah ont multiplié, là, nous, nous pouvons affirmer que TOUTES les dénominations religieuses peuvent dire cela sans mentir; A SUIVRE !! On NE PEUT PAS rester dans une secte quand il est prouvé que cette organisation a VOLONTAIREMENT truqué la bible,fabriqué de MULTIPLES FAUSSES DATES DE “FIN DU MONDE”, sans parler d’images subliminales en grand nombre etc etc etc… On ne peut PAS DU TOUT bibliquement se prétendre chrétien tant que l’on reste dans une société où il est PROUVE que cette société là n’est pas Honnête. Il n’y a pas “erreurs” de la part de la Watch-Tower , il y a VOLONTAIREMENT et d’une manière évidente, vérifiable, prouvable que TOUT est TRAFIC Watch-Tower. Si quelqu’un veut y rester et prétendre qu’il est toujours chrétien, alors pourquoi les Témoins de Jéhovah vont tenter de faire sortir de leurs religions les AUTRES gens NON T.J… ??? Les FAUX prophètes ,et de plus, falsifiant la Bible etc etc sont sous la malédiction, ” SORTEZ DU MILIEU D’EUX, selon Deutéronome CH.18/20 à22, selon Apocalypse ou, révélation ch.22/18..19 . http://www.dangersecte-info.blogspot.com . La traduction du Monde Nouveau est une bible entièrement falsifiée,truquée, déformée dans ses points les plus fondamentaux,”essentiels” A SUIVRE !! Car Toute la SUPERCHERIE DE LA Watch-Tower EST VERIFIABLE, il n’est pas question de “JUGER” il est question de CONSTATER” la malhonnêteté de cette organisation satanique..
You can find whole chapter on Mexico / Malawi in the Crisis book. Quand il s’agit de TRUQUER LA BIBLE, la Falsifier, par des erreurs “volontaires”, comme le fait la Watch-Tower, et sans parler de FAUSSES PROPHETIES habilement construites et images subliminales etc etc.. On peut être sincère,mais on est perdu pour l’éternité. La Watch-Tower est prouvée Malhonnête,et ses membres disent trop facilement AMEN sans réfléchir. Non, il ne s’agit pas d’être sincère pour être sauvé,il faut faire la volonté de D.IEU,et ,ne pas participer aux mauvaises oeuvres des Ténèbres.Il faut fuir la société Watch-Tower,en sortir au plus vite, sinon, c’est la perdition éternelle.. Voici d’autres éléments . http://www.dangersecte-info.blogspot.com . I’m a Nigerian, My grandmother is a Jehovah’s witness and through him my Brother joined after the bible study called ‘what does the bible really teach’ a little time after, i also started the bible study and started attending the meetings but right in me i didn’t find some things appealing about the teaching example is compelling me to believe what is been thought in the bible study. I made the decision not to continue the bible study again in a particular day when i was in my room and my brother was having his bible study section in the sitting room with is bible teacher so i overheard the teacher telling my brother and trying to make him believe that Jehovah’s witnesses are the only people that will be in kingdom of God. I was shocked to hear that because i felt that was a lie so after the teaching section i called my brother and asked him if he believes what he just heard but he couldn’t talk but with time he believed and started carrying the same message all about…. It was very painful to me.